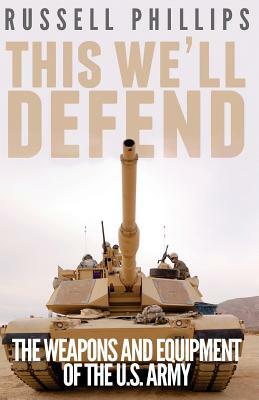 This We'll Defend outlines the most important weapons and equipment the Army currently uses. All facts, figures and images in this ebook are direct from publicly available Army sources, edited and annotated to form a short, easy-to-use but comprehensive reference. Born and brought up in a mining village in South Yorkshire, Russell Phillips has lived and worked in South Yorkshire, Lincolnshire, Cumbria and Staffordshire. His articles have been published in Miniature Wargames, Wargames Illustrated, and the Society of Twentieth Century Wargamers' Journal. He has been interviewed for the American edition of The Voice of Russia. He currently lives in Stoke-on-Trent with his wife and two children.